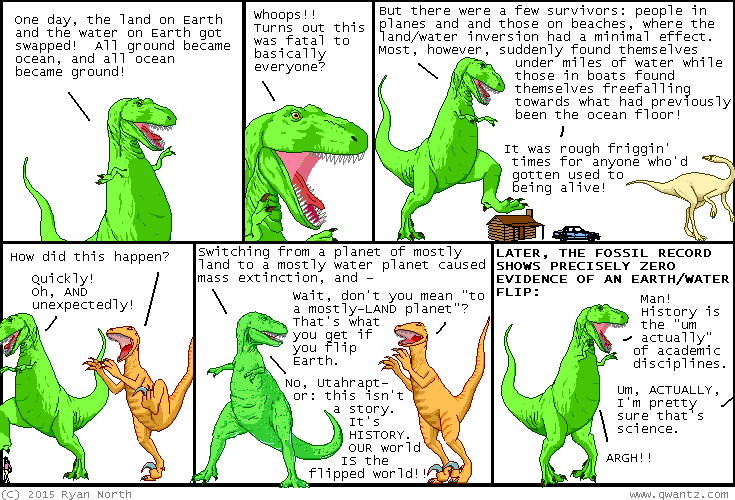 Dinosaur Comics - September 18th, 2015 - awesome fun times! September 18th, 2015: Here's the good news: I don't think this could EVER HAPPEN, and if it somehow does, I owe you a free muffin. One year ago today: the place: earth. the time: mad men times, i guess. the sixties? ?